Sustainable cities and electrical cars that do not even need a driver, watches that count our steps and mobile phones that replace our office. 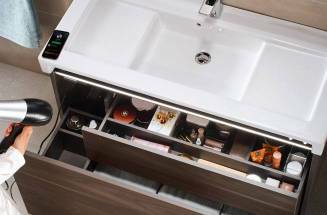 In the era of smart objects, Roca combine technology and avant-garde design in a unique experience of hygiene and well-being. 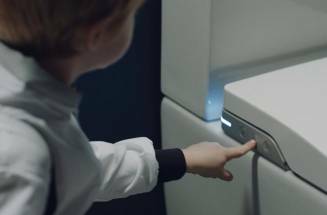 Discover our Smart Toilets and join the ultimate hygiene experience that will change everything. 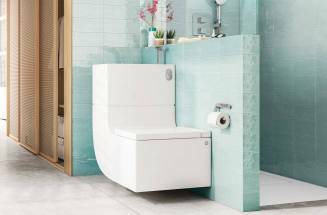 The future of toilets is here. And it’s smart. 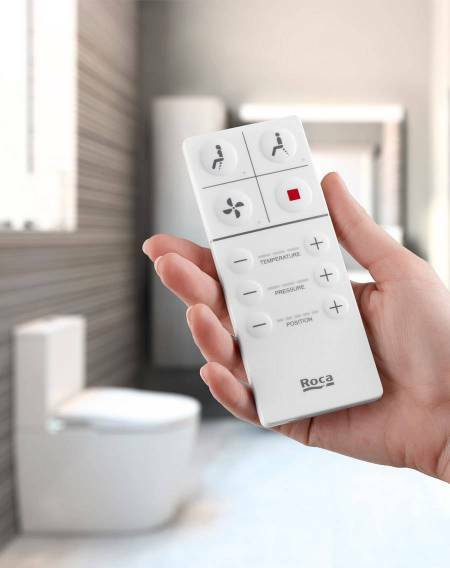 Discover a total hygiene experience with Roca’s new integrated toilet that features front and rear cleansing functions. In-Wash® will be a turning point in your personal health routine from the very start and you will get accustomed to its use seamlessly due to its intuitive remote control. Choose the wall-hung or floorstanding version and enjoy its elegant style that fits into any space or interior design. Immerse yourself in an experience of total well-being by means of a product with efficiency that will impress you from the start. In-Wash® Inspira features an integrated nozzle that cleanses the most intimate parts of your body with water, always ensuring the maximum hygiene. Moreover, its retractable nozzle cleans itself before and after each use and the water reaching it undergoes a filtering process. In-Wash® Inspira delivers an exceptional performance with the aim of ensuring your comfort and safety. 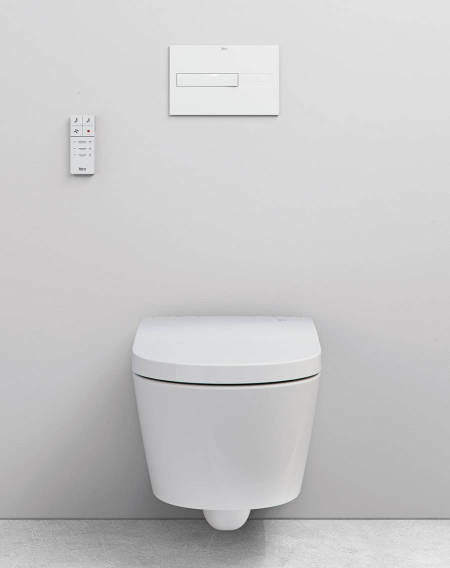 Some of its special features are the presence sensor that avoids its activation when not in use and the night LED light that may be configured to guide you towards the toilet without having to turn on the light of the bathroom. With In-Wash® Inspira you will be able to choose between front or rear cleaning, and regulate both the position of the nozzle and the temperature of the water. Intimate care that ensures the utmost comfort in a particularly sensitive area. The technical sophistication of In-Wash® Inspira contrasts with its easy operation. 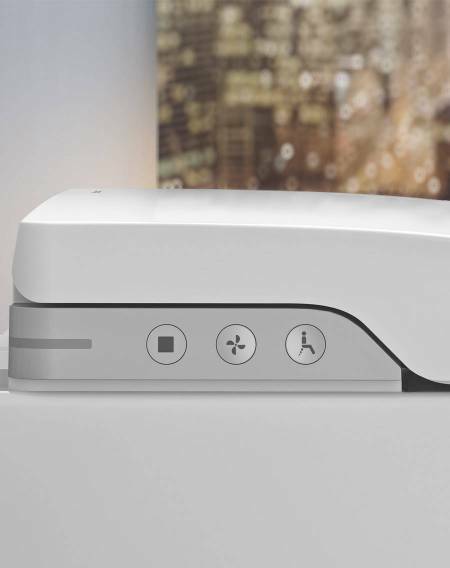 Designed as the ideal solution for any type of user, it includes a surprisingly simple and intuitive remote control to activate and adjust the cleaning and drying functions. 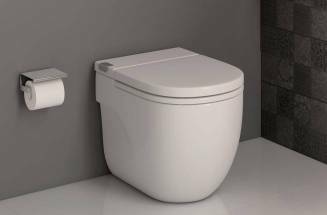 The toilet also includes a side panel that allows you to control the basic functions without having to use the remote control. 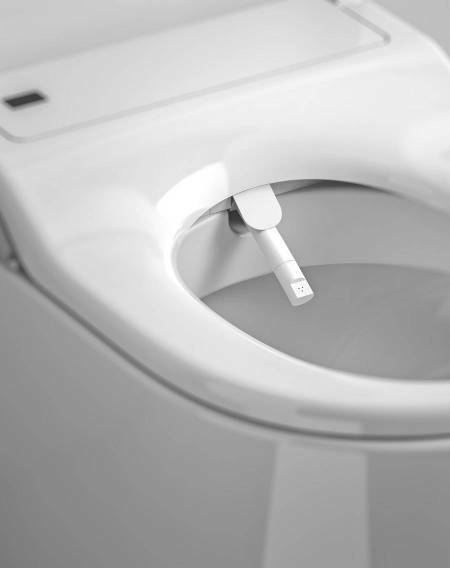 Turn your WC into a total hygiene experience with a quick and simple installation. 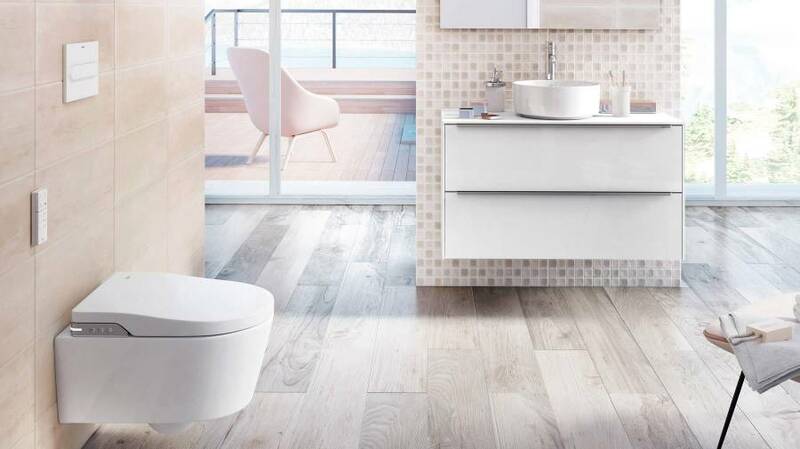 Multiclean® is Roca’s solution to enjoy the cleaning with water without having to replace the WC. The Multiclean® seats are compatible with the majority of our collections due to their three shapes –Round, Soft and Square–. Specifically conceived for those interested in joining the revolution of water in the simplest way, they grant access to the cleaning and drying functions by only adding a conventional power connection.